The enchanting adventures of Freddie and Poco: who are magically transported by Magic Piano to exciting foreign locations. In this adventure they discover the wonders of Paris, the eternal city of light. With its famous buildings and works of art, its chic fashion scene and its modern literary, artistic, and intellectual ideals. Freddie and Poco are enthralled by the tree-lined Avenue des Champs Elysees, Arc de Triomphe, Montparnasse, and all the wonderful museums, shops and restaurants. Join our intrepid explorers in their latest adventure. Expand your child’s library and foster a love of travel and appreciation of the natural and cultural world, other lands, languages, foods, customs, folktales and terrain...appropriate for toddlers to pre-schoolers and beyond. 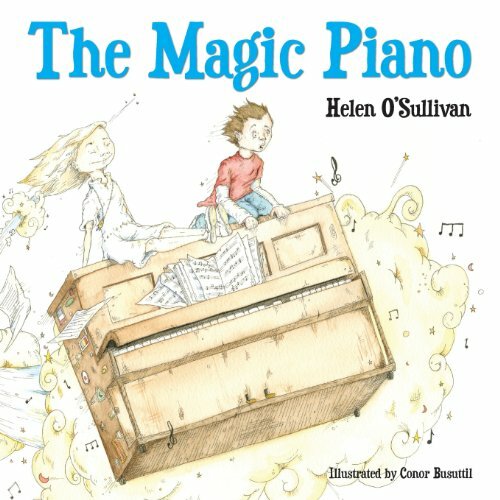 Helen O’Sullivan has written her first book, The Magic Piano, for her little boy, Finn – “for your love, light and sparkle” – and is already at work on her second book. In this first adventure Freddie and Poco are magically transported by Magic Piano to Paris. Further adventures will see them discover the delights of exciting foreign locations. Where will they travel next?